Dimitra is a Lecturer in Diagnostic Radiography, at the Division of Midwifery and Radiography. She is originally from Greece (Lesvos). 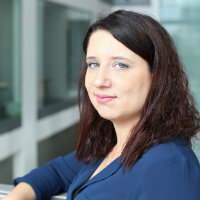 Dimitra joined City University of London in April 2018. Before joining the Division, she was a Senior Radiographer at the Breast Services (Charing Cross Hospital). Between 2011 and 2013 she was a Lecturer in Radiography at the European University of Cyprus. Dimitra received her MSc in Medical Imaging from the University of Surrey in 2009 and her BSc in Radiology and Radiotherapy from Athens University of Applied Sciences in 2007.